Cloud computing is nothing but a computation based on the internet. Commonly, people used to hunt down their applications and programs from a software that is downloaded on a physical computer. Today, cloud computing is used in the business and allows people to access to the same type of applications through the cyberspace. Cloud computation is used everywhere in our day to day activities. For instance; when you are updating any social media account status, you are in the cloud. So, the cloud computation always helps to solve the challenges faced by the small businesses. Today, there are so many businesses shifting to the cloud. They are changing because the cloud computing increases the efficiency of the business and helps the business to improve its cash flow, and so on. It provides many benefits to the business like helps to set up a cybernetic office so that it becomes flexible to connect with your business anywhere and anytime. It helps to access the data easier. Businesses moving to the cloud computation can reduce their cost of managing and maintaining their information technology systems. It is not required for the organization to buy any expensive systems for their business. 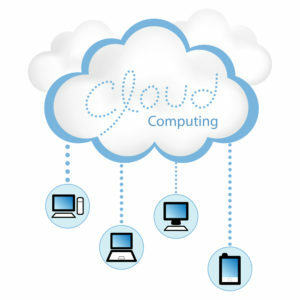 They can reduce their cost with the help of cloud computing service provider. Every business needs business continuity planning to identify and prepare themselves for the risk and to recover quickly if an incident does happen. The protection of data and the system are very important part of business continuity planning. Imagine that you are experiencing a natural disaster or a power failure, at this kind of situation, you may worry about the backup data. So, it is always advisable to have your data stored in the cloud. This can help in data backup and always protect your data in a safe and secure location. It is also possible for the business to access the data again quickly and they can run their business as they are expecting with minimum downtime and loss of productivity. Luke Lonergan is the co founder and CEO of Greenplum IT firm in San Francisco. Luke has been working over cloud computation and big data since last many years.